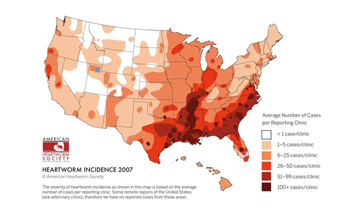 First, adult female heartworms release their young, called microfilariae, into an animal’s bloodstream. Then, mosquitoes become infected withmicrofilariae while taking blood meal from the infected animal. During the next 10 to 14 days, the microfilariae mature to the infective larval stage within the mosquito. After that, the mosquito bites another dog, cat or other susceptible animal, and the infective larvae enter through the bite wound. It then takes a little over 6 months for the infective larvae to mature into adult worms. In dogs, the worms may live for up to 7 years. 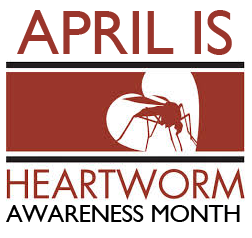 Microfilariae cannot mature into adult heartworms without first passing through a mosquito. This entry was posted on Tuesday, April 1st, 2014 at 9:00 am	and is filed under News & Updates. You can follow any responses to this entry through the RSS 2.0 feed. Both comments and pings are currently closed.